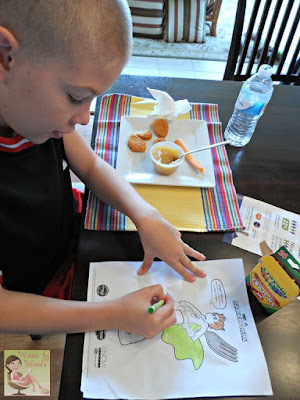 My youngest son is a crazy fan of Tyson Chicken Nuggets. Always has been. We typically got them at the regular grocery store, but since I renewed my Sam’s Club membership we’re able to get the 5lb bags! He’s a happy camper to say the least. This will be a very humbling post to write, but one that is a part of why this campaign means a lot to me. My kids and I have had hard times before and there have been days here and there throughout the course of the last 6-7 yrs where I was concerned about putting food on the table. Thankfully, they’ve never had to go hungry, and we’ve been blessed by our church and friends so that we’ve had food in our cupboards and on the table. Unfortunately, not everyone has that luxury or opportunity. There are kids who go hungry every day in this country. It’s something I find heartbreaking. 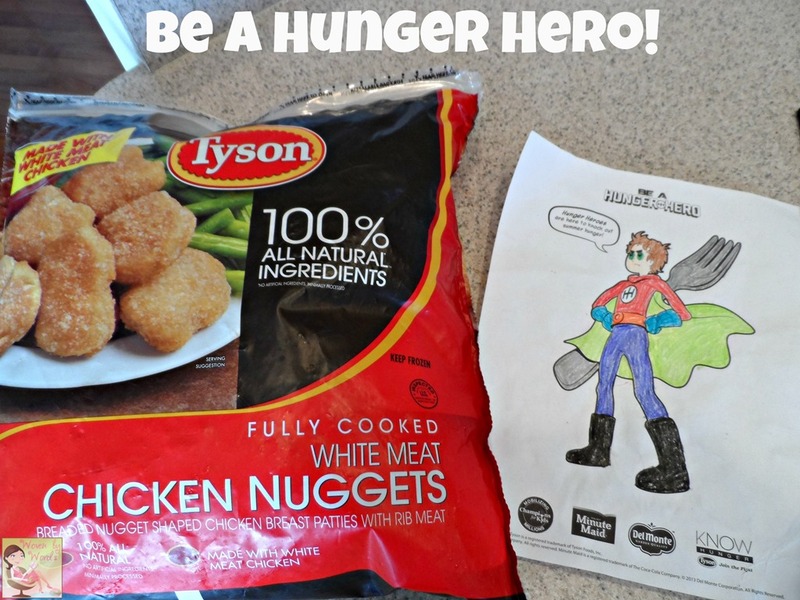 I’m really thankful for the opportunity to help be a Hunger Hero because I know that if there’s a way for our family to help, it would be in the form of buying chicken nuggets. It’s something we purchase on a regular basis anyhow and that means helping others is part of our lifestyle. I also want my kids to understand what it means to give back or to pay it forward. They’ve been helped out, even though they have no idea about that completely, and, so it’s important that they learn the importance of helping others in need. I think they can relate more to helping kids since that’s who they have been before. I buffer my kids to a degree, but I don’t completely shield them. It would be a disservice if I did that. Tyson Foods will donate a meal (4oz of protein) through Champions for Kids for every bag of nuggets sold at Sam's Club from August 17 to August 31, 2013 (up to 308,000 meals). So, since Fred has a brand new shiny, big fridge at his house, we’re going to have a shove a couple of bags into the freezer! =) Heck, between his kids and my kids, I have no doubt we could easily chow through them. 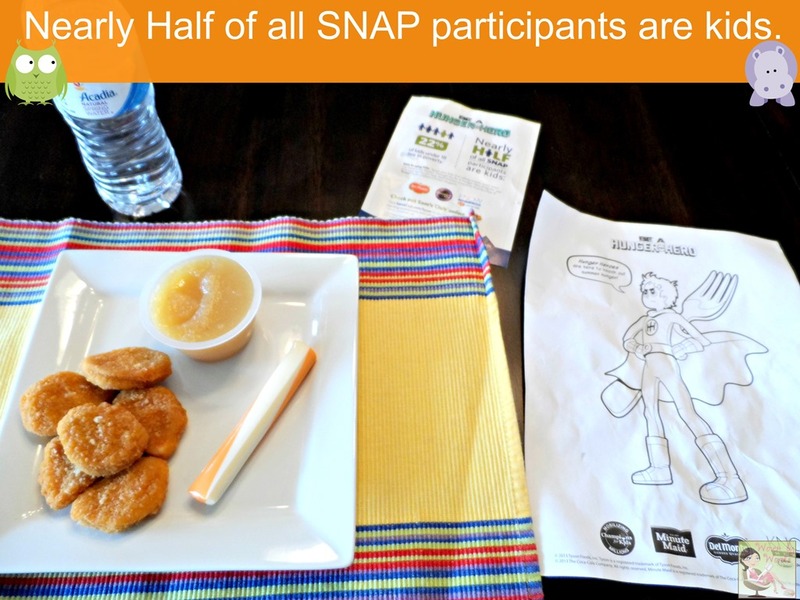 It’ll be an investment into our meals as well as for other children, and that’s the most important part! Be sure to visit Sam’s Club this coming weekend to get some of your own taste testing done at their demo and check out our time there, too! So wonderful to support Hunger Heroes - glad you are helping to spread the word! It really is a great way to give back and astonishing how many kids here right around us are in need of food! I love Tyson's chicken but am not a member of Sam's Club. I love the Hunger Heroes idea. It's definitely a nice way to give back. My son and I are the same way. We volunteer at the local food banks here and donate to the shelters all the time. It's wonderful helping other people! Tyson is the only brand of chicken nuggets we buy! 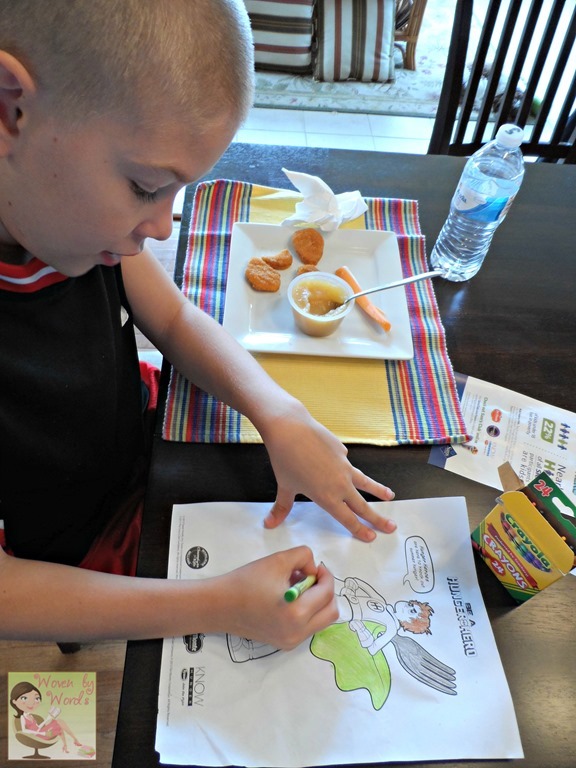 The kids love them, they are healthier than a lot of the other options out there, and the taste is just so much better! Its now past the August 31st deadline for this promo they were running and we arent members of sams club (costco shoppers here lol) but I think this Hunger Hero stuff is pretty awesome! i think this is such a great idea. they are so many hungry children out there. alot of our schools here are always taking food donations because they have special programs trying to provide for the kids on the weekends when school isnt in session to make sure the kids have something to eat. What a terrific company Tyson is to be donating! I think that is great and more companies should follow. We use this brand often and we also donate whenever possible to food pantries. I dont serve my family processed food but i guess its a good cause and i do know how hard it can be to be a single parent and trying to feed kids. Not always easy. 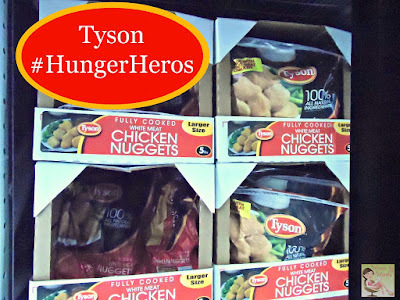 I'm glad Tyson is supporting such a good cause by advocating for hungry children. There are so families that feel the pain of not being able to provide what's needed for themselves and I can only imagine that the worst of it is having to go hungry. This is also a great way in which families can support a cause even if they can't make a donation because Tyson gives back through their own proceeds from sales. I'm so happy to read that Tyson is helping out with hunger.